Xbox SmartGlass, the companion app allowing for a second screen, will bring updates for Xbox One users. The updates revealed during an Xbox Wire interview with Xbox Live manager Ron Pessner include faster connection speeds (dependent on Wi-Fi), support for 16 SmartGlass devices and its very own Xbox One app. According to Pessner, Xbox One Smartglass will run operate 3.5x faster than its predecessor Xbox 360, by talking directly to the Xbox One over Wi-Fi or LAN network. Another update to the service alongside Xbox One's support of up to eight controllers, will be SmartGlass' support for up to 16 devices. Pessner describes his enthusiasm for this new level of multi-player gaming, "We're excited ot see where developers will take this and the new gaming experiences they'll create by tying together more devices than before." Xbox One SmartGlass will also provide 'Game Help', allow users to search the entire Xbox Games Store, work as a remote control when watching TV on the Xbox One, and allow matchmaking for a multiplayer session whilst still in the middle of a game. When asked whether SmartGlass will operate as a controller, Pessner stated, "we're seeing scenarios where SmartGlass can be used for methods of game control with Xbox One... it has to be the right fit for the right game to use SmartGlass as a dedicated controller. " 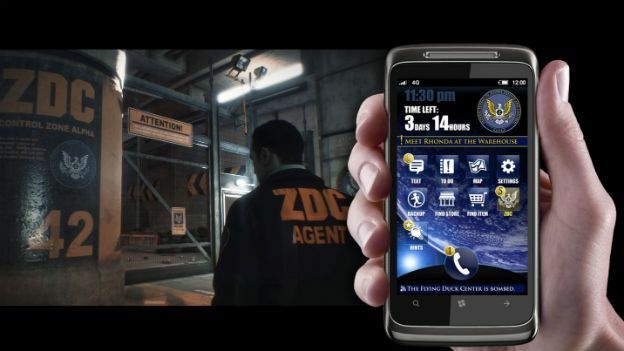 It has already been revealed that SmartGlass will launch with Xbox One games; Dead Rising 3, and Project Spark. Pessner revealed that a separate SmartGlass app will become available for download 'this holiday' for iOS, Android, Windows Phone 8 and Windows 8 devices. Following its launch at E3 2012, it was reported earlier this year that Xbox SmartGlass has been downloaded more than 17 million times.